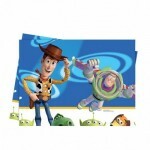 Join Woody and Buzz on their great adventure into the Toy Story party of a lifetime. 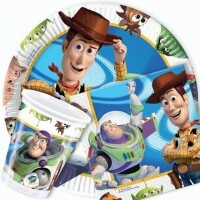 Don't let Zorg ruin your big day, Shop for all your Toy Story partyware here. 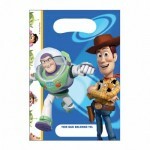 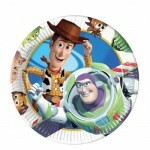 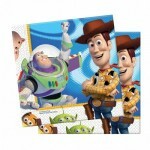 Our Toy story party theme consists of plates, cups, napkins,tablecovers, loot bags, banners and much, much more. 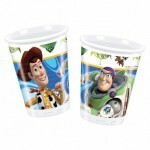 10 x Toy Story Party Cups 10 x Toy Story 3 party cups with large pictures of Woody and Buzz..
10 x Toy Story Party Plates 10 x Toy Story party plates with Woody and Buzz Light..
20 x Toy Story Party Napkins 20 x Disney Toy Story 3 party napkins, printed with ..
6 x Toy Story Party Loot Bags 6 x Disney Toy Story 3 bags printed with big pictur..
Toy Story Plastic Table Cover Toy Story 3 party tablecover, printed with Woody and Buzz Lightyear..